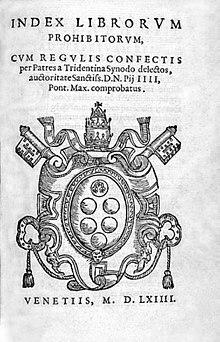 It may be difficult to see a connection between the launch of YouTube Red (a subscription paywall behind which its ‘content stars’ have now been imprisoned), the Council of Trent in 1545-63 and the Index of Banned Books (or indeed between the social media ‘Reformation’ and the Protestant Reformation). But there is a connection and it is to do with institutional reactions to new forms of disruptive technology and a desire to shore up established vested interests. Looking first at the Council of Trent. This was one of a series of crisis meetings convened by the Catholic Church to try and deal with the pesky Protestant Reformation which was threatening its authority in large parts of Europe. An aspect of this that was especially irksome was the new-fangled technology of printing, which had allowed Martin Luther et al, as well as some other awkward geeks such as Galileo, to spread their ideas far more extensively that would have been possible in the good-old days of the Inquisition. In fact one of the most significant aspects behind the success of the Protestant Reformation was its adoption of this new communications technology and a recognition of its power to disrupt established institutionalised interests (i.e. the Roman Catholic and Orthodox Church).